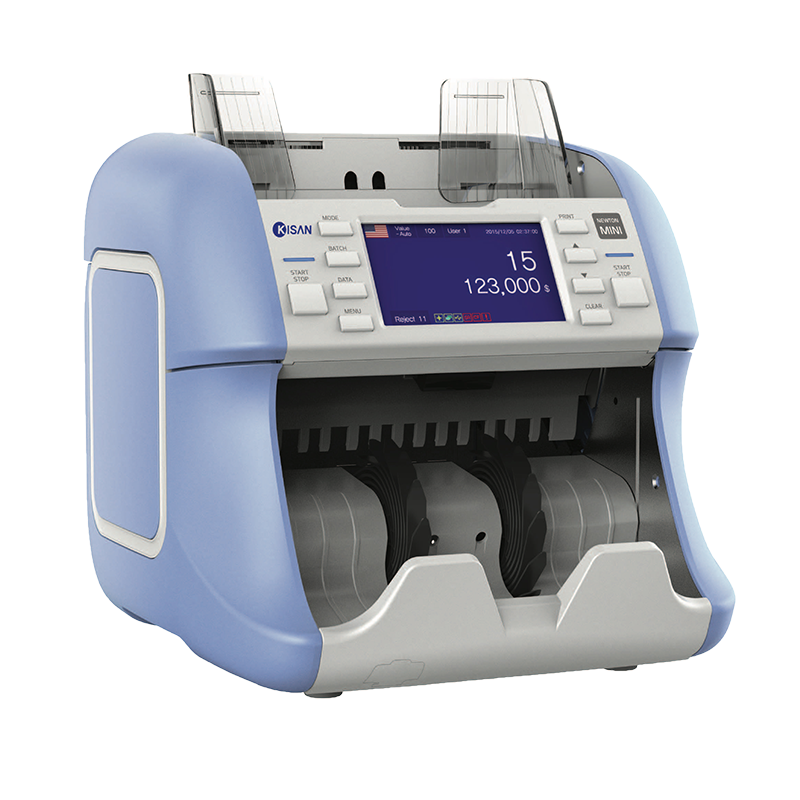 The Newton Mini is a powerful one-pocket value counter designed to offer superior note processing in a compact design and at an affordable price. 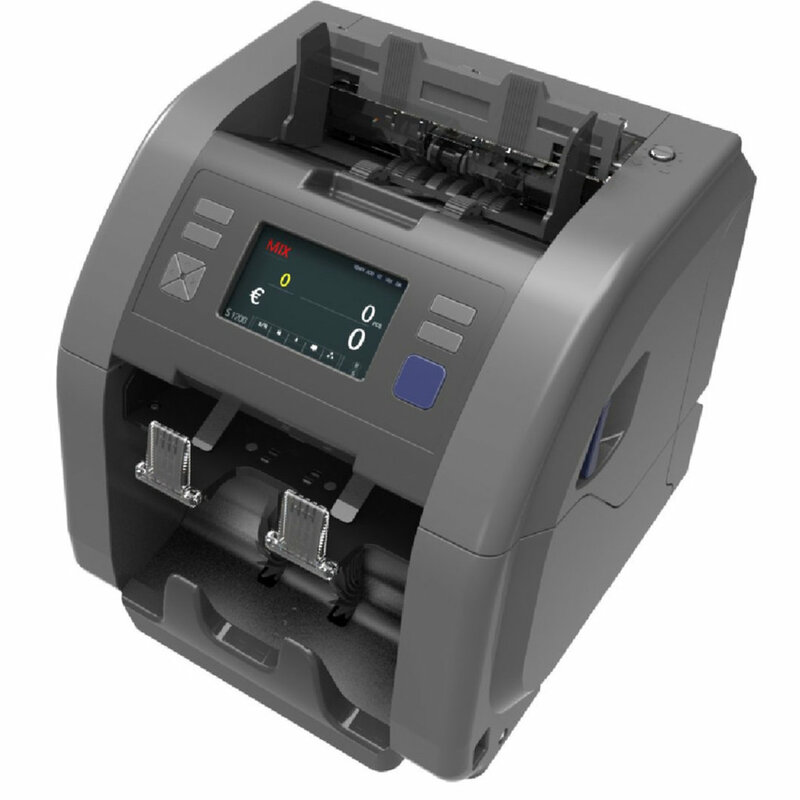 In addition to traditional note processing - piece/value count, batch, counterfeit detection - the Newton Mini adds advanced imaging technology that allows for serial number reading and cheque imaging. The large touch screen, network connectivity, and complete functionality make of the Newton Mini one of the most interesting models in this category. High-speed Counting -from 1,000 NPM (value count, serial number reading) up to 1,500 NPM. 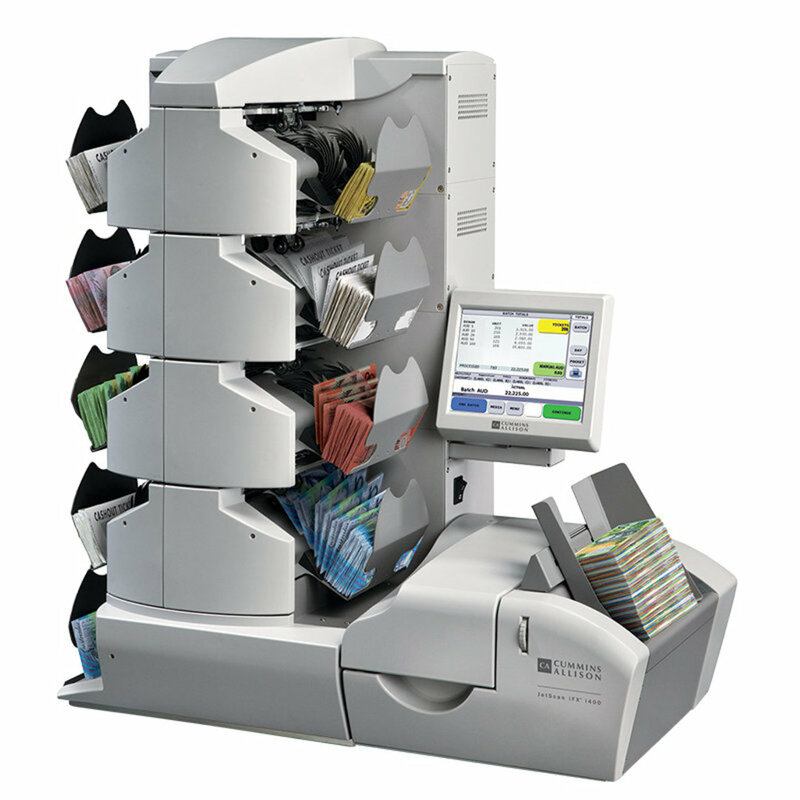 Advanced Counterfeit Detection - Dual CIS, UV, MR, IR, US sensors allow superior counterfeit detection, automatic serial number reading/imaging and the double-sided scanning of cheques and vouchers up to 185mm wide. 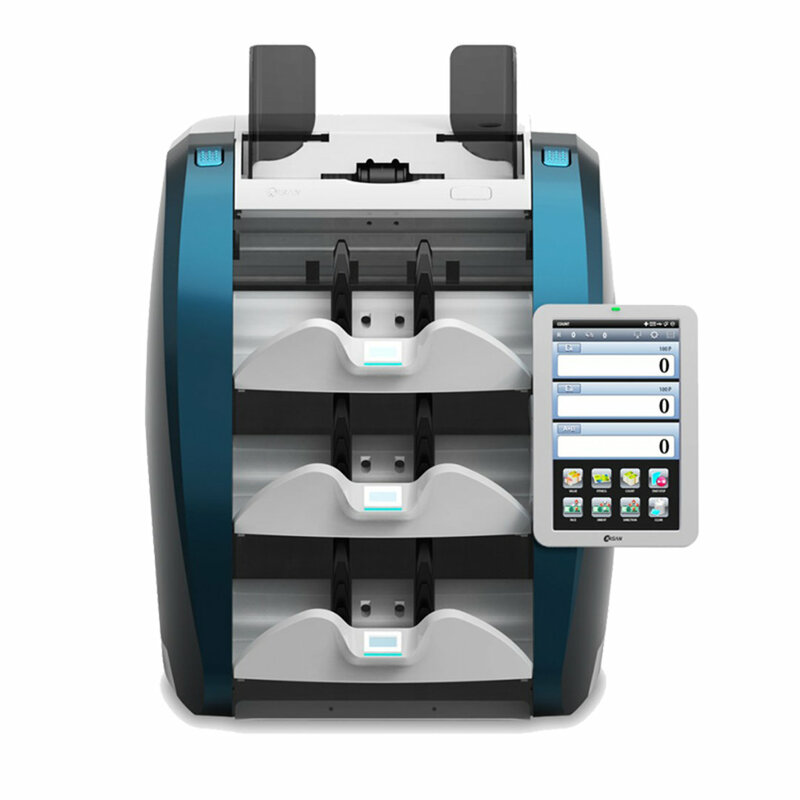 Scans can be exported via USB or LAN connection. 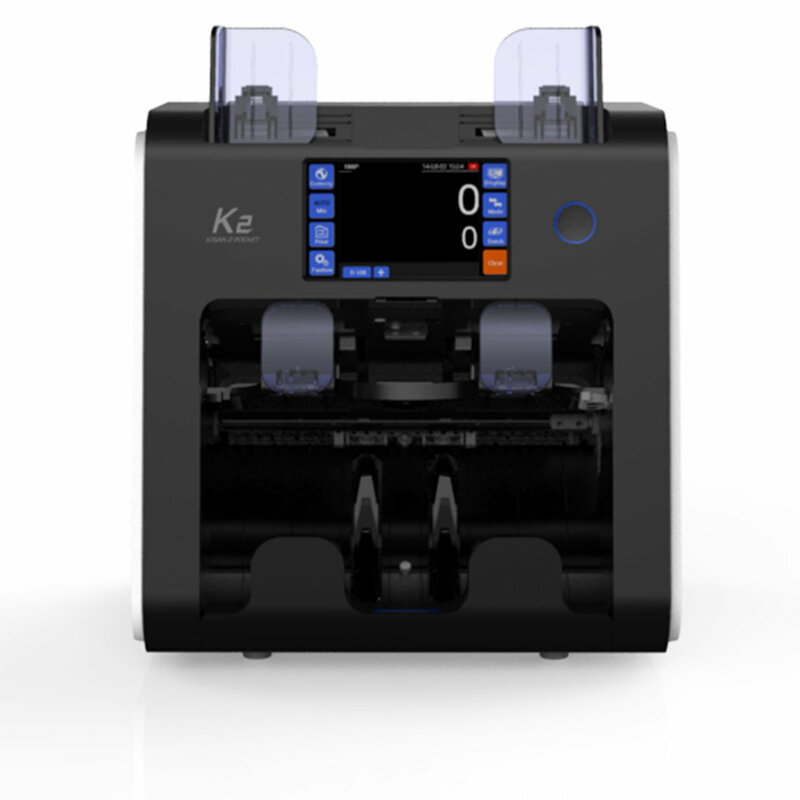 User-Friendly - 4.3-inch colour touchscreen provides real-time data and guides the User through the operation of the machine including issue resolution. Users can navigate the machine's functions via touchscreen and/or using the function keys around the screen. Easy to maintain - For cleaning and in the unlikely event of a note jam (or for cleaning), the note path is fully accessible. Quick cleaning and issue resolution guides are provided with the machine. Multi-currency - Can automatically detect and process up to 20 currencies at a time. Data transfer and networking via USB, LAN or Serial Port. Options - Printer, Customer Screen, Networking Software.